I want to focus on the treat­ment of lower back pain with acu­punc­ture and moxi­bus­tion. This con­di­tion is incred­ibly com­mon. I would have to say that 30–40% of the acu­punc­ture patients I see have some aspect of this con­di­tion. In some cases, it is full-blown lower back pain with chron­ic sci­at­ica that can be caused by degen­er­a­tion of the verter­brae. Other times, it may be a col­lapsed disc, mus­cu­lar spasm or scar tis­sue from an injury. There are also patients who have been vic­tims of ter­rible acci­dents and who have bolts and met­al plates in their back. Today I want to talk about a unique patient — myself. It all happened in the Virgin ter­min­al in the Los Angeles air­port. I sat on a hard chair in the ter­min­al after hav­ing a big ten days in the United States attend­ing a work­shop. When I got up after eat­ing din­ner, some­thing in my back just went on me and I knew I was in trouble — I was unable to move. I did everything I pos­sibly could to reduce the spasm before I got on the plane – but it was a down­hill road. I was incred­ibly for­tu­nate that I had three vacant seats in the middle of the plane and I was able to juggle my body around to get enough pil­lows to get myself into a rel­at­ively com­fort­able pos­i­tion for the trip back to the Gold Coast. I was very for­tu­nate to have someone meet me at the air­port. Mind you, it was a real art to get my bag off the con­vey­or belt and get it out of the air­port. Fortunately, when I got home I was able to obtain acu­punc­ture treat­ment from two people I had trained in Japanese acu­punc­ture – my daugh­ter, Naomi, and my per­son­al assist­ant, Andrea. To cut a long story short, I went straight to my Gold Coast acu­punc­ture clin­ic to see my daugh­ter for treat­ment. At that stage, Naomi had only been study­ing her degree for 18 months but I basic­ally gave her no option but to give me some acu­punc­ture to help relieve the pain. I was in a lot of pain. Under my instruc­tion and encour­age­ment, Naomi treated my lower back pain and it was such an incred­ible relief to get the treat­ment. I was also able to get moxi­bus­tion treat­ment from Andrea, my long-suf­fer­ing per­son­al assist­ant who had been work­ing with me for 18 years at my Gold Coast acu­punc­ture clin­ic and had become incred­ibly adept at the pro­cess of rice grain moxi­bus­tion. Andrea and Naomi have been provid­ing main­ten­ance treat­ment for me for lower back pain for the last three years since I turned up from Los Angeles pretty well unable to move. I have great sym­pathy for any­one who suf­fers from most of the con­di­tions I see, but par­tic­u­larly from lower back pain. I’ve suffered from lower back pain and I am also acutely aware of the incred­ible relief I’ve exper­i­enced from judi­cial use of acu­punc­ture and moxi­bus­tion to treat this con­di­tion. Whenever I feel my back get­ting a little squeaky from over­work or over­play (par­tic­u­larly surf­ing), I will get Andrea to apply some moxi­bus­tion to my back and this helps enorm­ously. 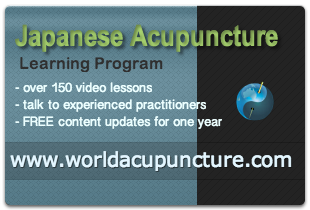 So from both a prac­tic­al per­son­al and patient per­spect­ive, I am so enthu­si­ast­ic about the effic­acy of Japanese acu­punc­ture and moxi­bus­tion in the treat­ment of many vari­et­ies of lower back pain. So if you are suf­fer­ing from any form of lower back pain, please don’t hes­it­ate to vis­it my acu­punc­ture clin­ic in Brisbane or the Gold Coast. You will be delighted with the relief that acu­punc­ture can provide for your con­di­tion.